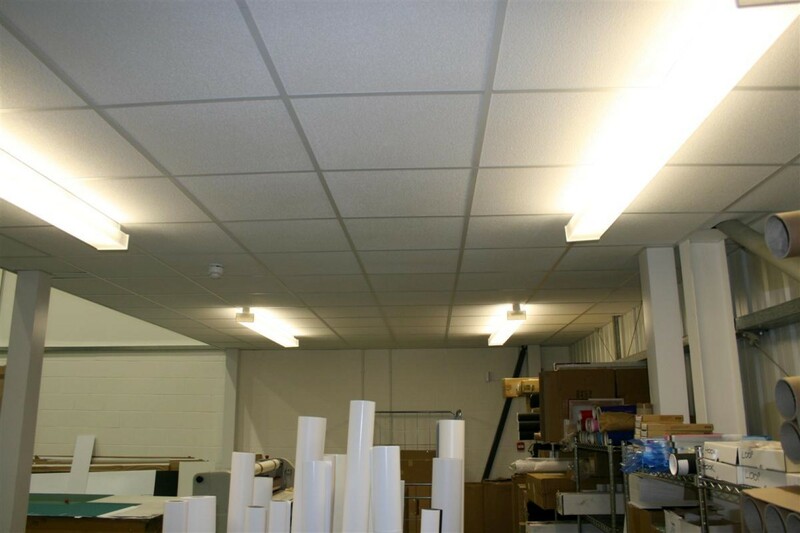 Hampshire Mezzanine Floors can supply new materials from a replacement ceiling tile, to the full package of design, supply and installation of your new suspended ceiling. 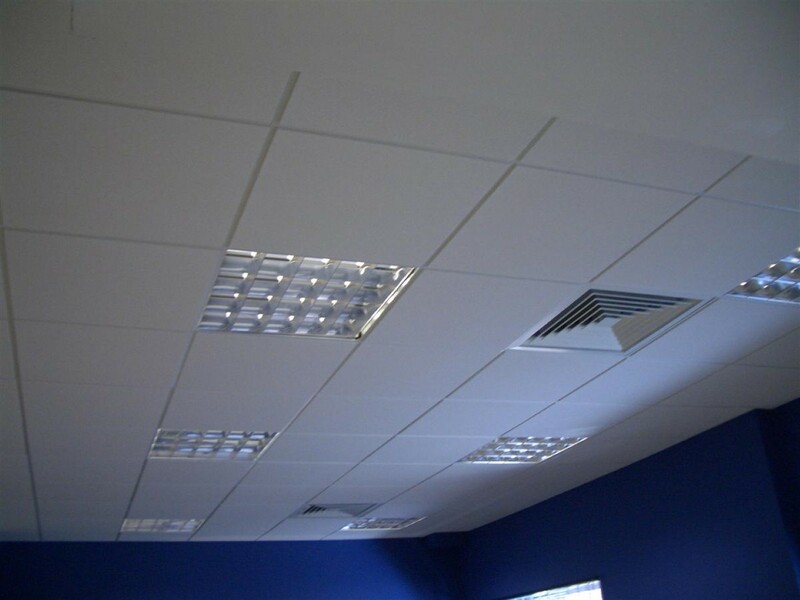 We can provide a comprehensive range of suspended ceiling tiles, grids and ancillary products to satisfy your requirements. 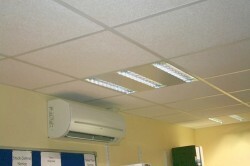 The most common ceiling tile is a 600 x 600, however we can supply a 1200 x 600 tile also. You can have plain tiles or fissured tiles, square edge tiles or tegular tiles. If you are trying to match to an existing tile, we can help you identify which tile you have. We supply materials from all the well known manufacturers including Armstrong, Owa and USG and keep materials in stock at our Southampton warehouse. 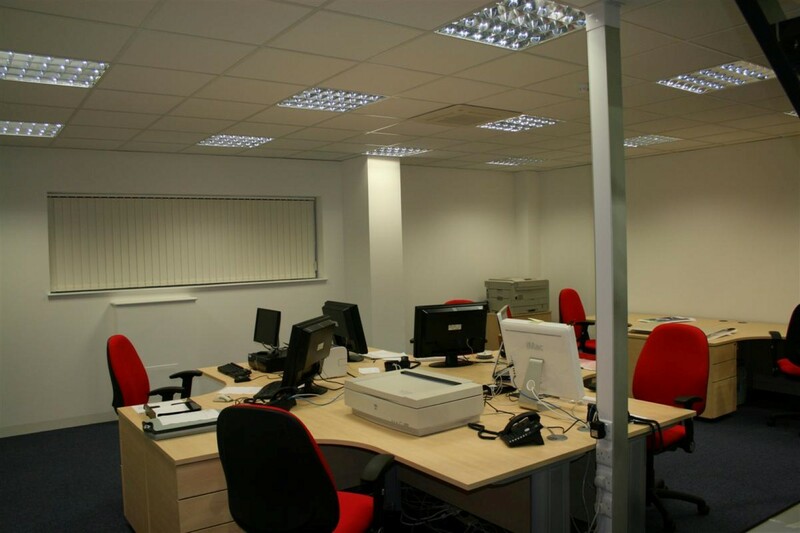 Hampshire Mezzanine Floors have the knowledge and experience to help provide the right tile for your environment, and also ensuring all health and safety and fire regulations are adhered to at all times. Contact us today to arrange a site visit and free quotation.